This entry was posted on February 23, 2015 by David Tetlow. 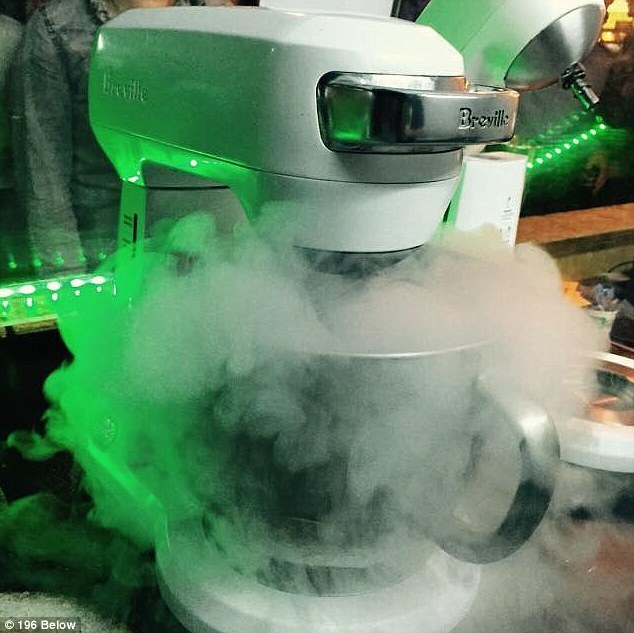 Australian company 196 Below specialise in creating nitrogen ice cream have now done something even more creative, neon ice cream. Co-creators of 196 Below, Steve Felice and Glenn Storey, started the company 18 months ago in Melbourne. Their ice cream store differs from others as they make their ice cream using a liquid nitrogen technique that makes it creamier and fresher tasting, not to mention it being quicker and interesting to watch. They know that people are intrigued by the process and plan to add UV food dye to the ice cream so people can watch it light up while being made under the 6 UV floodlights the store has installed. The UV food dye, which Steve Felice found in a cake decorating shop, is completely safe to consume and has been certified by the Therapeutic Goods Administration of Australia. 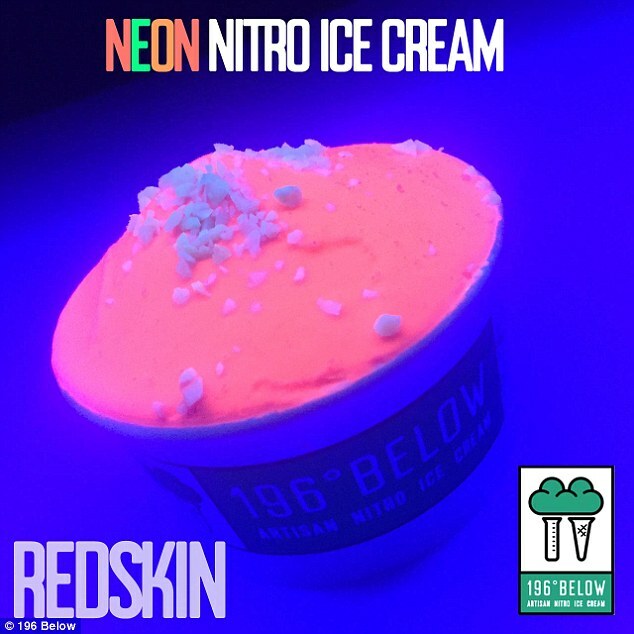 The neon ice-cream comes in 3 different flavours: Redskin. Pine-lime and Mango passionfruit.The product debuted at Melbourne's White Night festival which runs all night and was at 7pm Saturday until 7pm Sunday. Co-creator of 196 Below, Steve Felice, explained his inspiration behind the idea for neon ice cream by saying: "I used to be a dance party child in the 1990s and early 2000's and I used to make party clothes out of neon material." He added: "I was in a cake decorating shop and saw UV-reactive food colouring and thought 'wow, that would be really cool, I wonder if I can actually pull this off." When talking about the debut of their ice cream on White Night, Steve said" "As we're churning it out people will be able to see it glowing. We also want people to have fun outside of the store and take pictures with their ice cream. We're more about taste than anything but tonight it's about having fun and enjoying the night. On a good night we serve between 700 and 800 people, but considering feedback we've been getting it could be even more. This is something completely new, so it's going to be an interesting 12 hours."